BCN Checkpoint takes part in national and international research projects and also participates in drawing up the guidelines and recommendations of the World Health Organisation (WHO), UNAIDS and the European Centre for Disease Prevention and Control (ECDC), among others. This is the Catalan programme for developing an effective HIV vaccine. It was set up by a public-private consortium made up of the two most important and established research centres on HIV today: the Institut de Recerca de la Sida (IrsiCaixa) and Servei de Malalties Infeccioses i Sida de l’Hospital Clínic de Barcelona. This study aims to test the hypothesis of the combined “kick and kill” strategy with the best vaccine candidates (HIVconsv) combined with the strongest latency reversal agent available so far (romidepsin) in order to evaluate its efficacy in reducing the reservoir and in containing viral rebound. The BCN 02-Romi is being carried out by the Institut de Recerca de la Sida (IrsiCaixa). The aim of this project is to develop a mobile phone health platform that will enable patients with stable disease to manage their HIV infection. Users will have secure access to their medical data via a smartphone application, which will also give them remote access to the main healthcare providers. The EmERGE project is funded by the European Union and five European countries are taking part. This is an observational study of serodifferent couples in which the positive member of the couple is on antiretroviral treatment. PARTNER evaluates the risk of transmission between members of couples that do not use condoms. The second phase of this study, PARTNER-2, focuses on gay couples only and involves the collaboration of 75 different centres. The purpose of the project is to generate operational knowledge to better understand the role and impact of Community Based Voluntary Counselling and Testing services to explore the use of and to increase early HIV/STI diagnosis and treatment in Europe among the most affected groups. 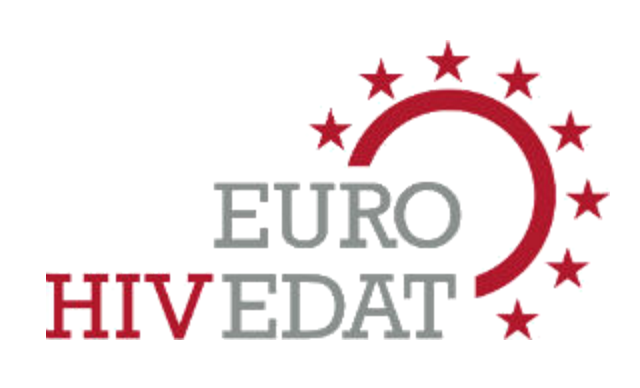 The Euro HIV EDAT project is funded by the European Commission.